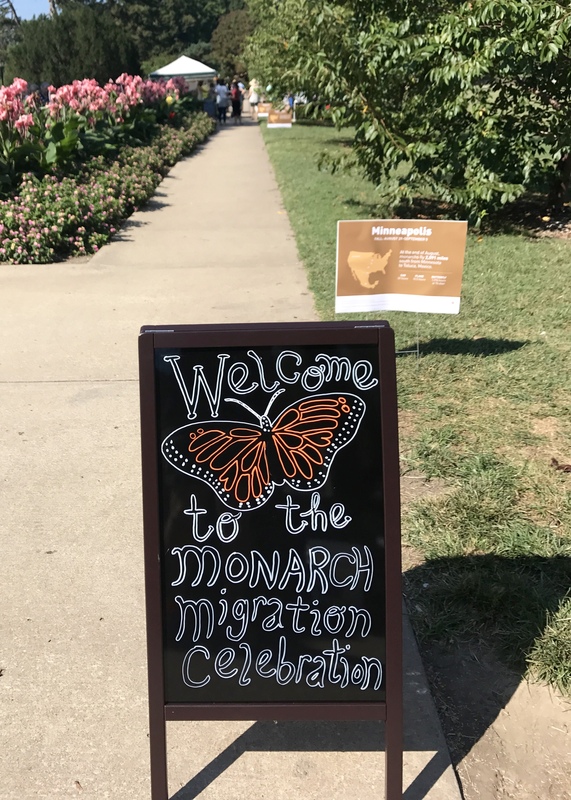 Thanks to clear skies and an enthusiastic turnout, the KCNPI Monarch Migration Celebration at Loose Park on Saturday, September 23 was a huge success! 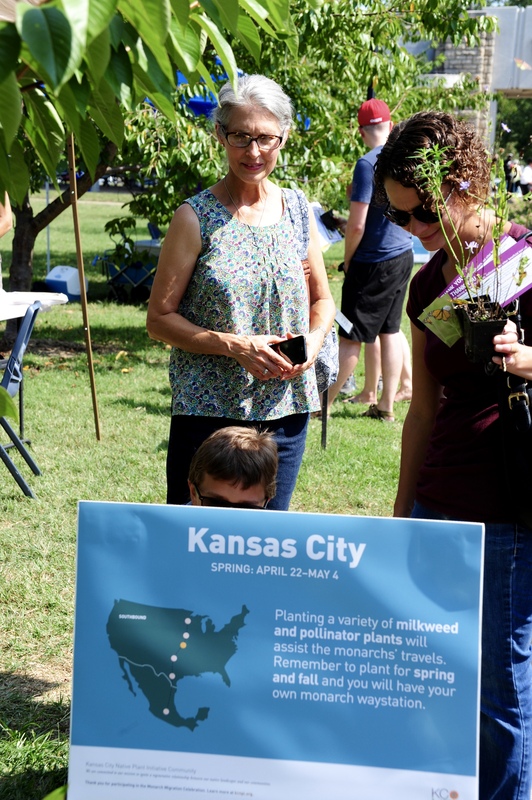 Over 500 people attended, and KCTV5 featured the event on the air. 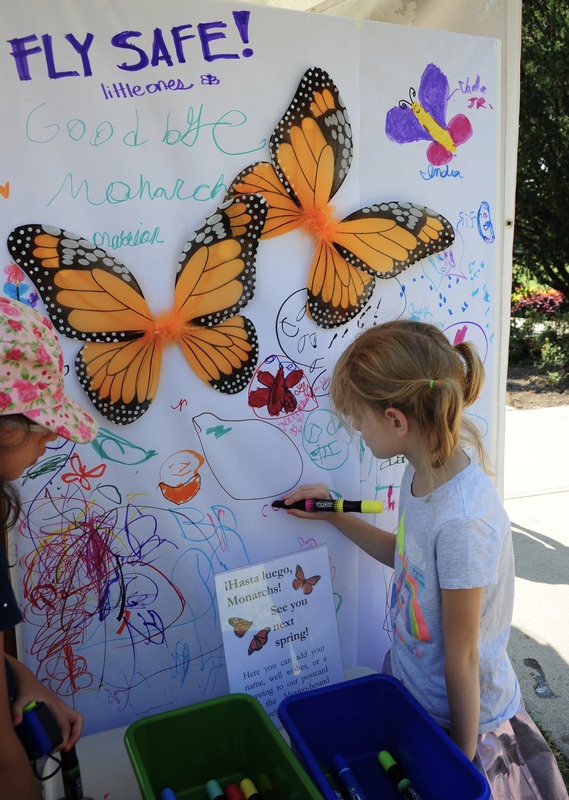 Visitors young and old were fascinated by the butterflies, caterpillars & chrysalises and learned about the citizen science of monarch tagging through interactive demonstrations. 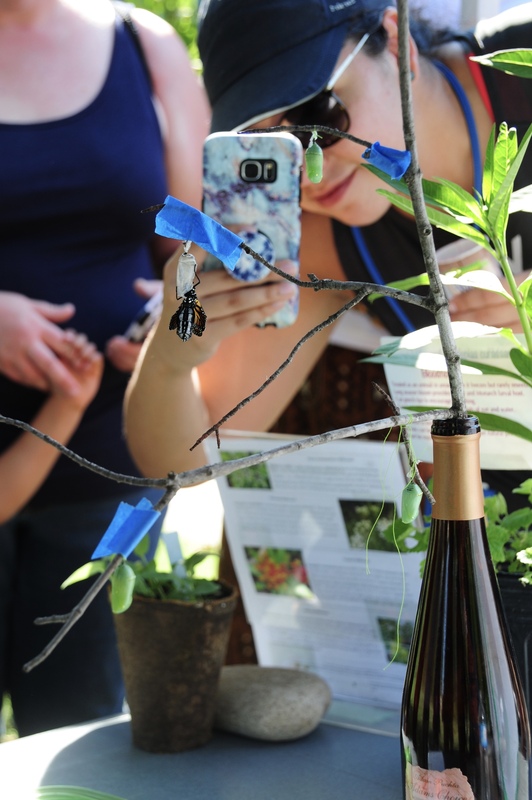 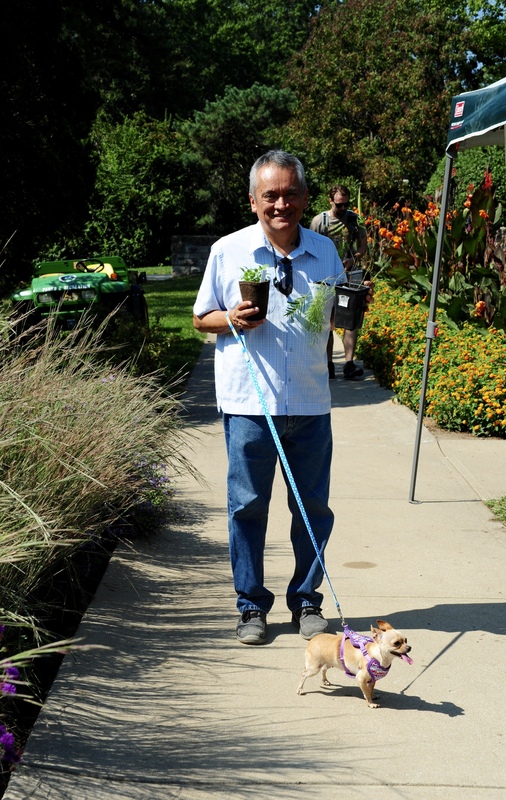 An adult monarch eclosed (emerged from its chrysalis) during the event — and was an instant celebrity. 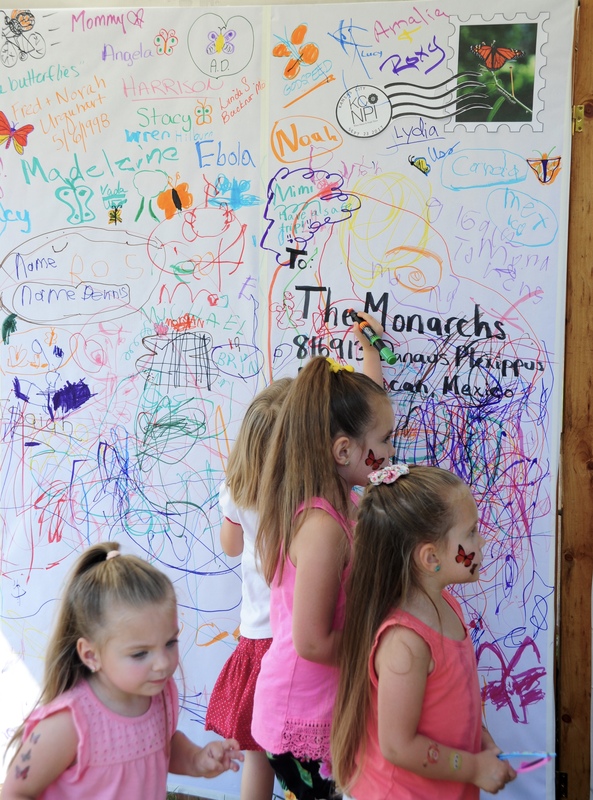 Viewing the adjacent Monarch Demonstration Garden gave many inspiration for creating monarch habitat in their own yards. 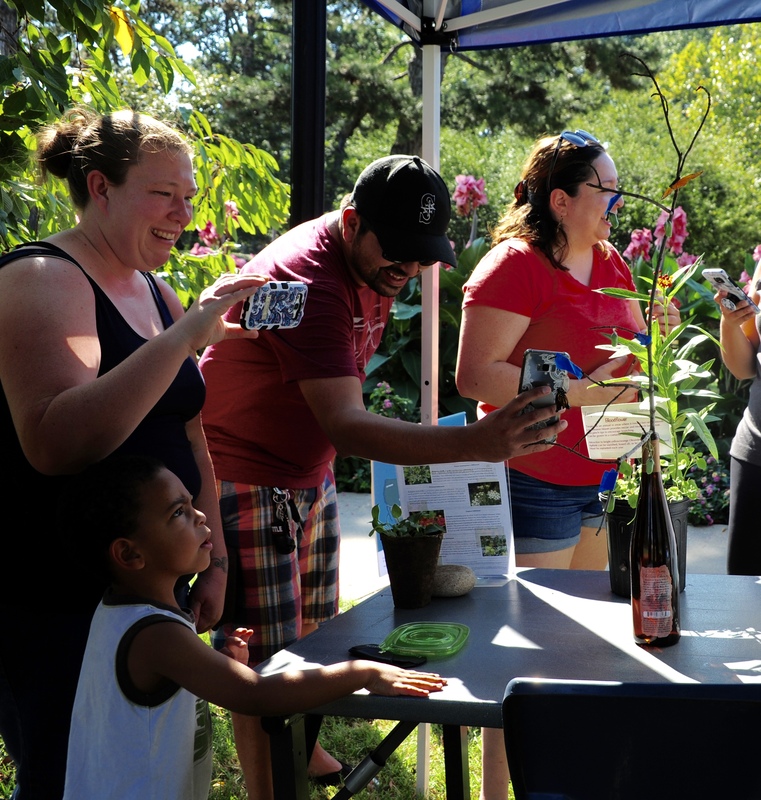 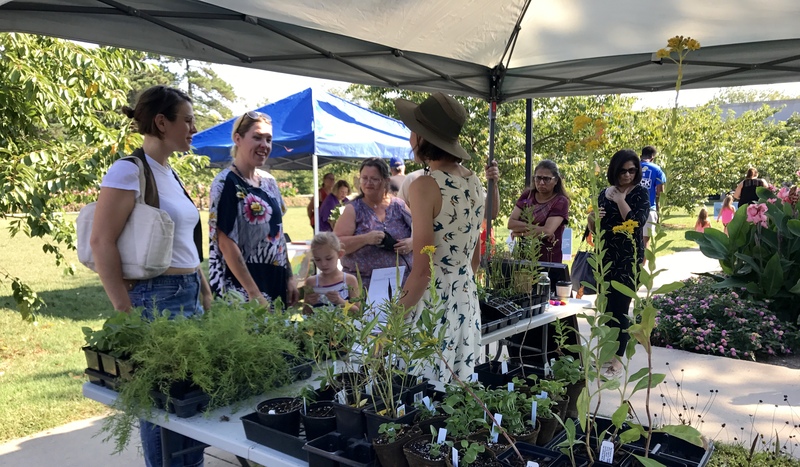 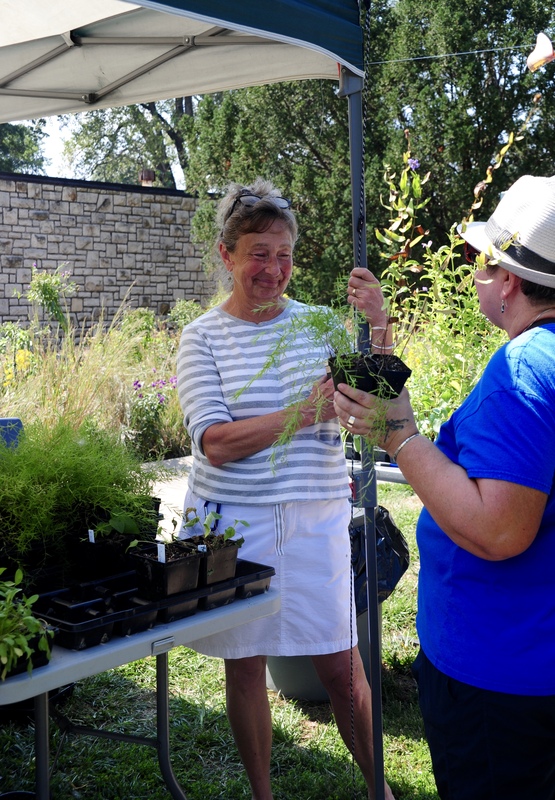 Thanks to generous donations from Applied Ecological Services, Green Thumb Gardens, Missouri Department of Conservation, Missouri Prairie Foundation, and Prairie Whisper Gardens, volunteers passed out over 300 free milkweed and nectar plants during the three hour event. 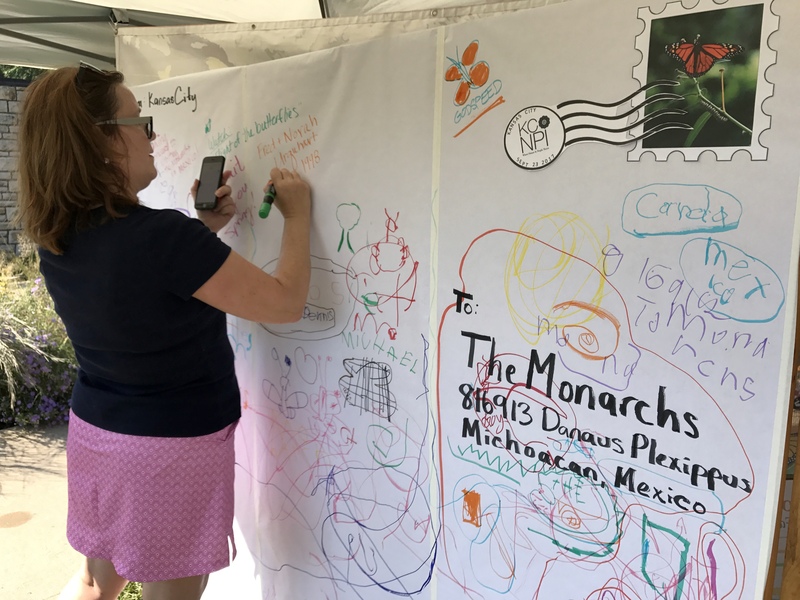 As visitors traveled from Minnesota to Mexico and back along a miniature migration path, they learned monarch facts from each sign. 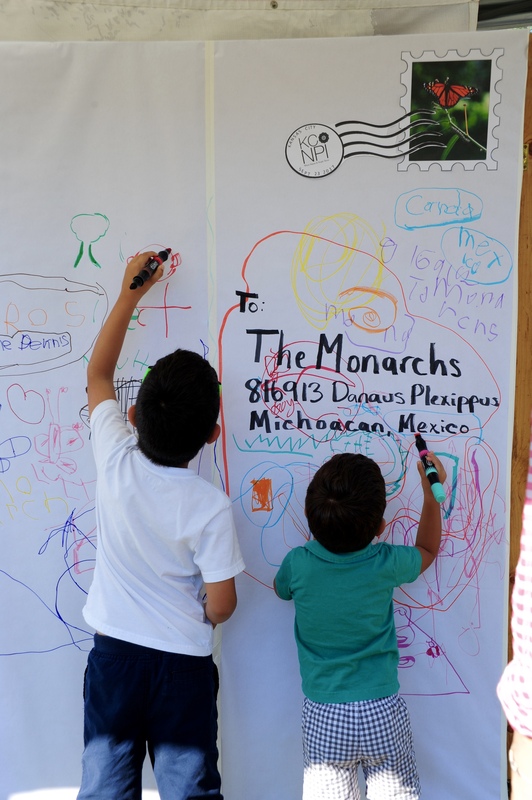 Families enjoyed cold popsicles, face painting, temporary tattoos, and people of all ages signed a giant postcard to wish the monarchs safe travels – or ¡feliz viaje!